You Need to see #DreamworksTrolls ! 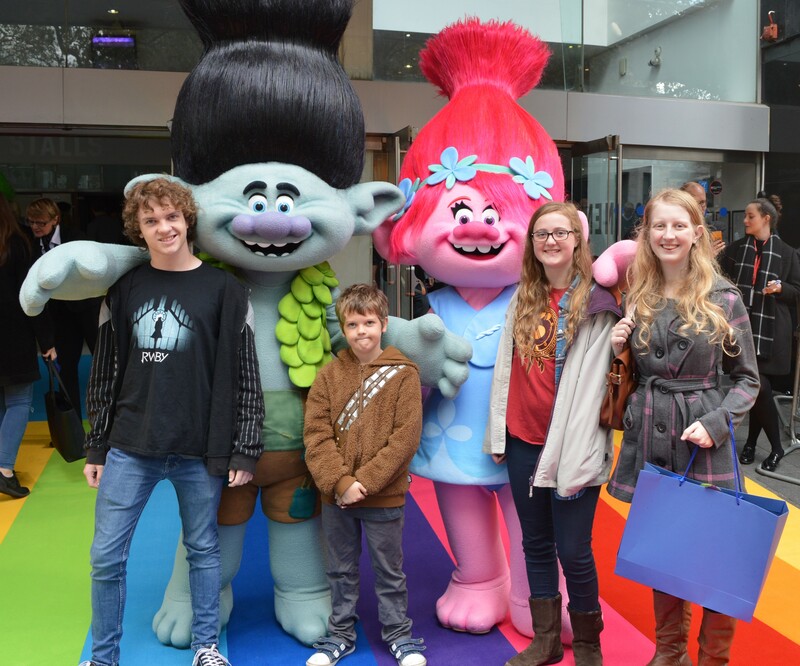 Last weekend we were invited to the Odeon in Leicester Square for a special screening of Trolls as part of the London Film Festival Family Gala, the film’s directors Mike Mitchell and Walt Dohm were also there to tell us more about the film and answer all our burning questions! Whilst waiting outside we were greeted by Poppy and Branch and a rainbow carpet! When we arrived, we were all given 3D glasses, and wow did they make the move real! Eowyn jumped as soon as the dreamworks logo came on screen and the fishing rod flicked back! It felt quite nostalgic watching all these happy little trolls appear on the screen, as we still have a large box of them from when Xene was small, the boys love nothing more than grabbing them and tickling everyone’s noses with the hair! From the beginning of the movie it had a feel good factor, which lasted throughout the entire show, it had everything, romance, rivalry, mild peril, comedy, adventure and tons of music and dancing! The story, briefly (with no spoilers) is that the species known as the Bergens have always been lead to believe that to be truly happy they have to eat a troll, however when it comes to Prince Gristle’s turn to do just that, the Trolls have other ideas! 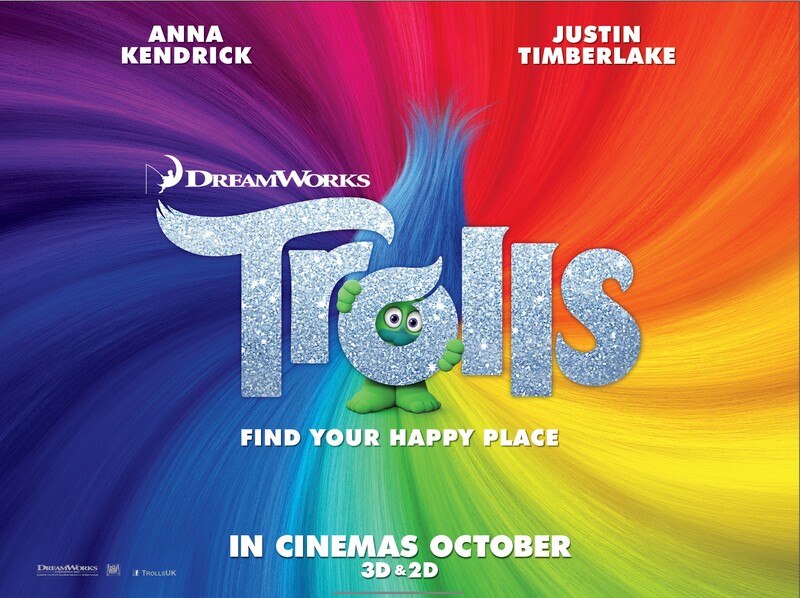 All goes according to plan and all the trolls escape unharmed, fast forward into the future and Princess Poppy (voice of Anna Kendrick) throws a huge party to celebrate the freedom of the Trolls, but disaster strikes and they are discovered, so with the help of a very grumpy troll named Branch (Justin Timberlake) they set off on a rescue mission. One of my favourite scenes is the Scullery maid’s Cinderella style make over, courtesy of Troll hair! Its so hard to tell you about it without giving it away, so I urge you all, if you only do one thing with your children this half term. GO AND SEE TROLLS, It’s truly awesome.